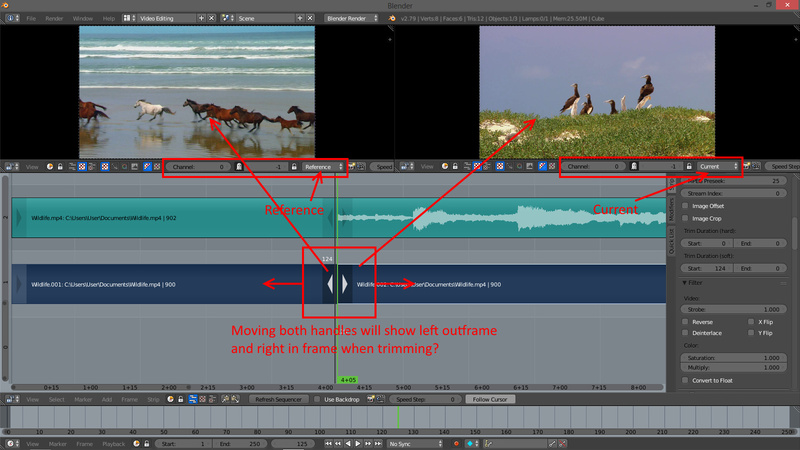 When you do quick batch render, can it “render to image sequences” each of the scenes, but at the end take the result and put it back into the editor, or maybe do a render of the resulting sequence to a video in the desired settings?. If I understand your question correctly, you are basically looking for the ability to render scenes to image sequences, auto-import those back into another scene, and then render those out as videos? Also, there is no way of automatically re-rendering everything, but it would be easy enough to change the render settings to a video format, and batch render again. is there an option fo setting the “input color space” to several videos?. Unfortunately, there is no ‘copy to selected’ option for that setting, so no. I’m using Blender 2.78a (2016-10-24) on a Mac. Any idea what could be the problem? Wow amazing! I was just looking for a way to ripple edit, and this is brilliant! I might have missed it in all the comments, but is there a way to make an imported image, that isn’t the exact same aspect ratio fill the screen, either outside or inside, but keeping the aspect ratio? The first image below is what it looks like, it’s streched horizontally almost 50%. The second one could be one option, where it fills the width, but I lose some of the image above/below. Blenders VSE will always stretch to fit (vertical and horizontal. If you turn on crop then you’ll loose parts of the image that exceed the project dimensions. To use a strip you’ll need a transform effect that repairs the ratio difference between source dimensions and project dimensions. Sadly theres no auto function, just a little math. Look at your strip properties for original dimensions. Version 0.92 is now available. Added a new panels: QuickCuts and QuickTags. Also, QuickList is a lot nicer looking now, and more useful I think. QuickCuts provides a simple interface with some cutting operations like trimming left/right, ripple cut/delete, and even uncut to undo a cut. It also has some buttons for automatically setting up the timeline. See the wiki documentation for more details on each function. QuickTags implements metatags for sequences, you can add text snippets to sequences, and select strips by tags. Tags can also be shown in the QuickList panel. I dont use this much, so if any of you find this useful, please give me some feedback on it! New version, huge update! Probably the biggest update since the first release. Many new additions such as a three point editing workflow, right click context menus, cursor following, new ripple editing features, and graphic overlays to convey more information (see parenting and fade in/out now in the timeline!). The way the script works has been changed quite a bit, it now ‘wraps’ many of blender’s functionality, which is much more reliable than the old way it worked (monitor everything for changes and hope to be able to figure out what just happened). I think with these improvements, it may finally be ready to be submitted to the blender addon repository. Just a warning tho, with such a huge update and so many things changed, there may be bugs! The script and documentation are now on GitHub too, keep up on the latest changes if you like. VSE Quick Functions Addon For Blender. 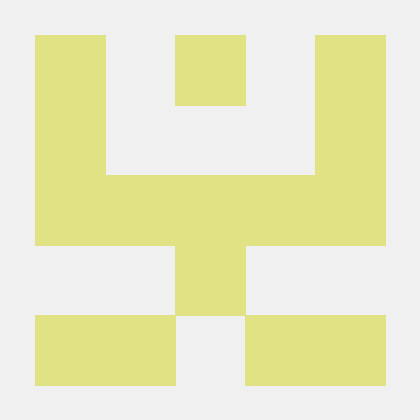 Contribute to snuq/VSEQF development by creating an account on GitHub. Cursor following is back, works properly at all zoom levels now! Implemented Quick3Point - a basic 3point editing workflow, import from the file browser to the clip editor, then to the sequencer. The new cut operator now fixes effect sequence chains - it will duplicate single input effects (such as speed control) to the newly cut sequence, and it will fix crossfades that should be applied to the right cut sequence. See https://developer.blender.org/T50877 for more info on the bug. Thank you for this comprehensive VSE add-on! With all the “real-time” strip manipulation like parent/child, have you considered a preview feedback mode where you ex. can see the current last/first frame when ex. trimming or sliding a strip? Something like this? that bug is fixed in blender 2.8 tho, so ill add this feature as an option when i update my script for 2.8. Thank you! (Maybe you recognize the script in my video - it’s your script - I just added one line for testing the feature). Mentioning 2.8 I feel that playback fps is much lover of video files compared to 2.79, do you get the same low fps? i wouldnt worry too much about poor performance yet tho, it might just be due to unoptomized builds, or optimizations that are not implemented yet, or it could just be the version of ffmpeg they included. Been testing your script a bit, and I must say it is very impressive the amount of advanced function you have managed to squeeze in there. I really like the context sensitive pop up menus when right click and hold. Feel free to use it as a stepping stone for coding a Blender to Reaper exporter. Unfortunately, it seems reaper doesnt support AAF and probably wont, the developers cite complexity of the format and possible licensing issues as the reason for not supporting it. There is the possibility of converting the exported AAF to something else, but im not sure if that is accurate or not. I thought about adding a function to your script, but it seems the edl format reaper uses is less limited than the one you are exporting to (no limit of number of tracks, video files can be in any track) so it might actually be a lot easier to implement (wouldn’t need the interface, could just use the export menu). Yes, the cmx 3600 EDL format is very limited, especially combined with the audio import limitations of Resolve. If one at some point should write a proper Blender to Resolve script fcpxml would be a better format. Just tested out the QuickThreePoint, and I like it. Just need a few more enhancements. Would be good if I can type in/specify the in/out frame values as well, since I tend to edit long clips (like 1 hr clips), and so dragging the in/out points won’t be so accurate. Would be good if shortcut keys can be implemented for in/out points. Like I for In point and O for Out point. Would be good if I can drag the playhead in the clip editor while setting In/Out. That way, I will then be able to use shortcut keys I and O to set the In/Out points respectively as well. Would be good if QuickThreePoint can be implemented for audio files as well (but I guess it’ll be difficult since audio files cannot be opened in clip editor). Otherwise, it’s looking good so far. Keep up the good work! It allows one sequencer preview to be a one place in the timeline and another sequencer preview to be at an offset frame. This way it would be possible to view the last frame of the first clip to the left and the first frame of the second clip to the right when trimming. I wanted to try it out, the same way I did above with the instant preview when trimming, but I realized that the “continuous” functions in VSE Quick Functions have either been moved or removed? What has happened to those functions(running in modal mode)? Do you think this theory will work or not? If the vse layout were to be auto-reconfigured to display this, there are some limitations to what is possible in python. For instance, I have not figured out how to view or set the zoom position in the preview areas. when would this feature be activated? when two edges are selected and no other sequences are between them? what if they arent on the same channel? it is difficult to detect, but not impossible. in truth, 1 and 2 could be ignored i suppose - the script would only activate if two previews were open, then it would essentially just be a advanced hidden feature. Still tho, coding the algorithm to detect the selected edges wont be easy. I have now implemented most of the features as operator ‘wrappers’ that replace a built-in function (such as the ‘grab’), do what is needed, then call the original function. This is a lot more efficient, and 100% reliable. The one downside: some stuff cant be detected this way (such as renaming of a sequence). This would completely break parenting on a rename, prevent quickproxy from working a lot of the time, prevent autoparenting for drag-n-drop files, and prevent the snap to end of new sequences option. Anyway, the biggest problem with previewing trimming is properly the slow preview update speed. Maybe it could be set-up as a trimming mode, activated by hitting a key or button. Which will make the playhead jump to the nearest cut. If it is the beginning of a cut, then check if there are any non-audio strips on the previous frame, and if it is the last frame of a strip, then do the opposite. If there are any visual-strip on the offset-frame then split the preview area(just need one) in two vertically(bpy.ops.screen. area_split ( direction=‘VERTICAL’ , factor=0.5 , mouse_x=-100 , mouse_y=-100 )) and set-up the overlay frame mode(one player: reference and the other: current and -1 frame offset) in the preview areas. Then using the mouse or your new excellent nudging/playback controls the user will find the precise frame to trim i/o. Then like “grab” - left mouse/Esc: cancel - right mouse/Enter: accept changes - the trim mode will be closed and the preview area will merge back into one in its original size. But as I wrote, in the beginning, the Blender video previewing code may not be fast enough for this operation anyway, so most of all I’m just curious about how it would work, though I’m a bit skeptic, about it actually would be useable(fast enough). Wow! This add on is just unbelievable! Is compatibility with Blender 2.80 in the plans?